How often do you ask: “Hey kids, what do you want to do today?” You want to do activities that are fun, engaging, and enriching. If you’re like me, you worry if they are watching too much TV or playing with the video games, iPads, or other technology too much. You have so many ideas and topics that you want to teach your kids. But, where do you start, what’s age appropriate, and where do you get all the materials? That is where BabbaBox by BabbaCo comes in to save the day! BabbaBox is a monthly subscription box that is delivered to your home with ALL the physical materials plus know-how content to really engage with your kids. It’s a theme-based box every month with activities, knowledge, and experiences that encompass all the ways kids love to learn! Target Age: Great for 3 – 6 year olds! Create: Each box contains 3 to 4 projects kids do with their hands. Explore: Each box includes a theme-based product to facilitate activities where your child will engage with the world & nature. Story tell: Carefully curated books to stimulate your kids' imaginations. 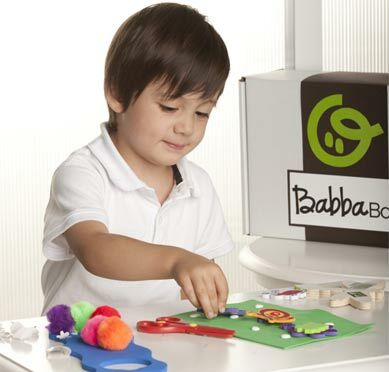 Connect: Interactive learning with prepaid downloads approved by BabbaCo experts. I am a huge fan of BabbaBox! It saves TIME because I don't have to run around to craft and super stores to gather materials for crafts and I never have to worry that I will be out of or run out of the supplies I need for my craft. With the BabbaBox, I get exactly what I need in each box without the errands! It also saves big MONEY: Each box has a retail value of $40-$50 plus the benefits you can’t even buy! The research, exclusive digital content, and special surprises in each box all add up to an amazing value. Best of all, I never have to worry that the craft is not educational or helping my son learn and grow! Their panel of experts give you the peace of mind that these activities and resources are truly enriching your kids! They do all the research and validation, so you can focus on the quality time with your children. Finally, something NOT on your to-do list! The crafts are fun and engaging and are perfect for a snowy winter day when the kids can't go outside! Buy It: You can purchase the BabbaBox Monthly membership for only $29.99 / month on the BabbaCo. website.